To find a recognisable orchid hybrid in the wild is exciting, but they are notoriously difficult to identify accurately because, even in relatively small groups of hybrids with the same two parent species, there can be considerable variation in the shape, size, and most confusing of all, lip pattern and form of the flowers. 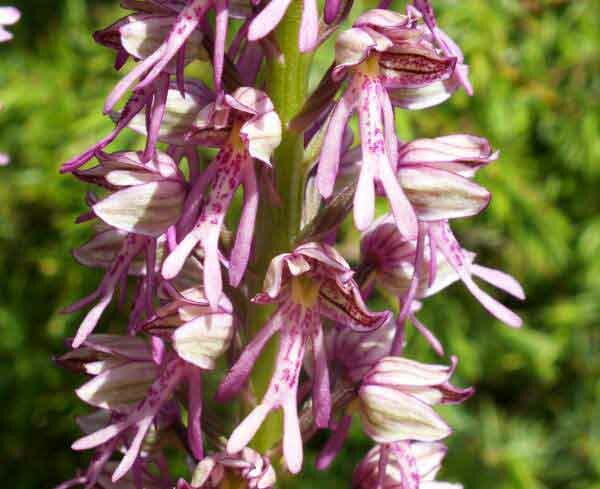 Hybrids between Military Orchid and Man Orchid are relatively common in some parts of Europe, notably in France where the plants on this page were photographed. 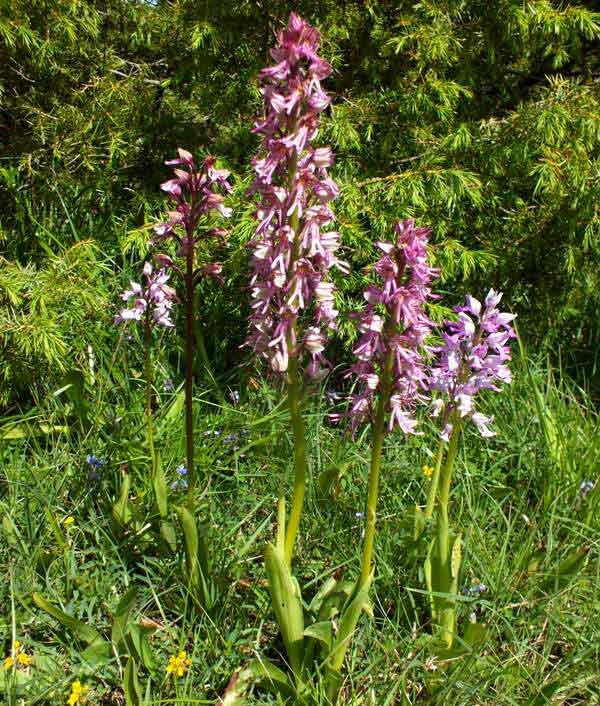 Above: Left, Military Orchid, three centre plants are the hybrid between the Military Orchid Orchis Militaris and the Man Orchid Orchis anthropophora, and right Military Orchid. Man Orchids were very close by. Above: closeup of the hybrid between Military Orchid and Man Orchid. Above: 1 - Military Orchid. 2 - Hybrid between Military and Man Orchid. 3 - Man Orchid.